Location/Access to Work Area: What type of access is needed for the work? Can it be reached from the ground, or do you require rope descent systems, a lift, stage, or scaffolding? This is one of A1 Orange’s unique advantages – we can often get to areas that others can not. We even have jobs where we pressure clean from a boat! Surfaces to Be Cleaned/The Right Equipment: What surfaces are you having cleaned and what type of process/equipment is needed? Factors such as surface material, location, staining, and the need to protect painted areas or landscaping impact the best cleaning method(s) for your pressure cleaning job. A1 Orange pressure cleaning technicians make equipment and method choices based upon your property’s unique needs, employing nozzle size, high psi, low psi, hot water, and/or surface cleaners to make your property sparkling clean without damage. 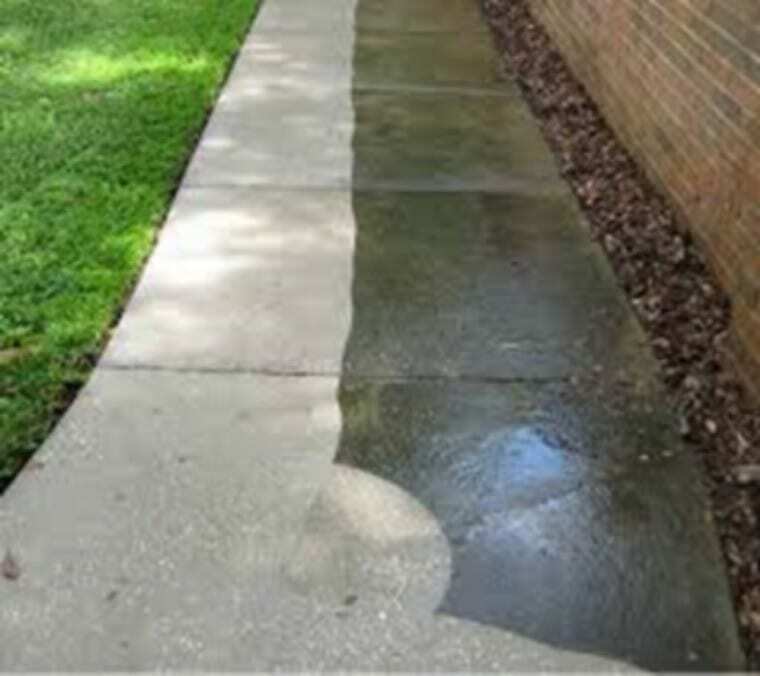 Regular Cleaning vs. Stain Removal: Do all of your surfaces require routine pressure cleaning or are there tough stains from calcium, limestone, grease and/or vehicle fluids? If you have heavily stained areas, an A1 Orange technician will come out and perform a test to see what is required to remove the stain prior to providing a bid. While it is rare, A1 will notify you in advance if there is an area which A1 Orange can not get clean. If you receive pressure cleaning bids with large discrepancies, this is a place to ask more follow-on questions. Protecting Your Landscaping Investment: We can rinse plants before, during and after cleaning and cover them, if needed. Each situation is different depending on the landscaping and plant materials. Also, you should always schedule your landscaper after your pressure washing service to prevent any damage. 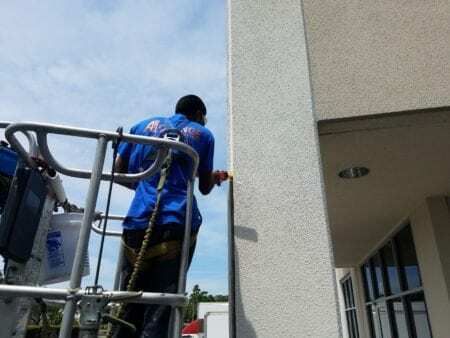 Sequencing of Your Exterior Building Services: Keep in mind that A1 Orange can provide all of your exterior building services needs including window cleaning, pressure cleaning, painting, waterproofing, exterior metal maintenance and granite cleaning — even portering and sweeping! If you are scheduling services with multiple vendors please notify A1 Orange staff so that work is done in the correct order. A1 Orange offers package pricing when we perform all of these services and coordination is done in-house. For pressure cleaning estimates, please call (800) 874-6207 or email us here. More info here.